BioOx Grow stimulates sustainable, robust agricultural growth. Earth has been sustaining plant growth for about 3 billion years. In a natural and balanced eco-system, micro-organisms create and catalyze the biochemical reactions and cycles that enable plants to utilize nutrients in the soil. The planet’s gotten pretty good at this system. But lately, we’ve gotten in the way. Agriculture as we know it is stuck in a vicious cycle. Farmers spray all sorts of pesticides and GMOs, which increase yield and biomass, but those practices come at a price. The soil is degraded year after year, and harmful toxins are released into the environment. And the nutritional value of the crops is lessened, too. BioOx Grow is a natural, sustainable solution. With BioOx Grow, we’re changing the way plants are grown. We’re nixing the all-too-common farming practices that harm the planet and compromise our well-being in favor of safe and healthy alternatives. BioOx Grow supercharges biological relationships that already occur naturally. The organic enzymes in BioOx Grow allow nutrients to get to the root of the plant much faster, which means the plants are able to grow larger, broader and healthier. "All natural" can often feel like code for "settling" when it comes to biomass and crop yield. With BioOx Grow, it’s actually the opposite. Our patented technology has been shown to increase the size and amount of crops grown. BioOx Grow usually increases crop yield and biomass by 40% or more. 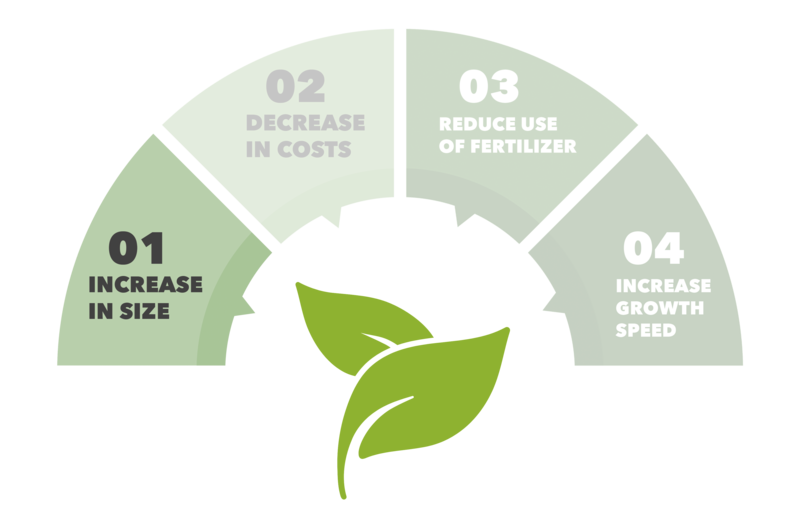 Each plant’s ability to catalyze nutrients is different, but BioOx Grow has an undeniably positive effect on yield and biomass. Crops grown with BioOx Grow look and taste better, too. That anemic, yellowish color from crops grown in low-quality soil is replaced by vibrant, healthy shades of fruits and vegetables - just as nature intended. Whether you’re working on a few dozen acres, a sprawling agricultural operation, or a hydroponic facility, we’ll work with you to develop a BioOx Grow plan that best fits your needs and goals. Drop us a line so we can get to work.